President's Blog - Office? Who Needs An Office? It’s 2018 and much of the shopping that is done today is completed without a store visit. Brick-and-mortar retailers are a dying breed, and the mega-malls which hosted dozens or hundreds of stores once upon a time are now the topic of modern-day fables about the good old days as internet sales become the norm. The trend toward electronic purchasing has created a new field of electronic selling, and that is true for financial advisors. A bevy of modern-day advisors are operating without a home office, operating a successful advisory business completely without the concept of one-on-one meetings held in the conference room of the provider’s base of operations. It’s not exactly “virtual’ advising, because the advising is real and person-to-person, not simulated in any way. It’s better to call it non-contact advising, as the professional and the client can complete all pertinent conversations and transactions without being in the same office, the same city, the same state or even the same country. Will investors accept an advisor who has no home office? Spectrem research shows that the answer is “perhaps not”. The trend for working without a home office is warmest among advisors who have created their own small firm as opposed to advisors working for large providers. The new businessmen and businesswomen avoid the cost of renting an official office, which is one of the largest expenses for any financial advisor or provider. Telephone calls and emails can take care of most required communications, but some advisors and some investors may want to see the person they are talking with and today’s advisors can accomplish that with the use of video-chat programs like FaceTime or Skype. Problem solved; all the smiles and head-nods have been witnessed, and misunderstandings which can occur when talking on the phone or via email have been avoided. Case Closed! But wait! Don’t the clients have say in all this? According to Spectrem’s study Using Social Media and Mobile Technology in Financial Decisions, texting and video-chatting do not enjoy universal appeal among all investors. Asked to place their willingness to communicate with their advisor via video-chat on a 0-to-100 scale, Investors came up with a 21.44 average, an indication of very little interest among investors. 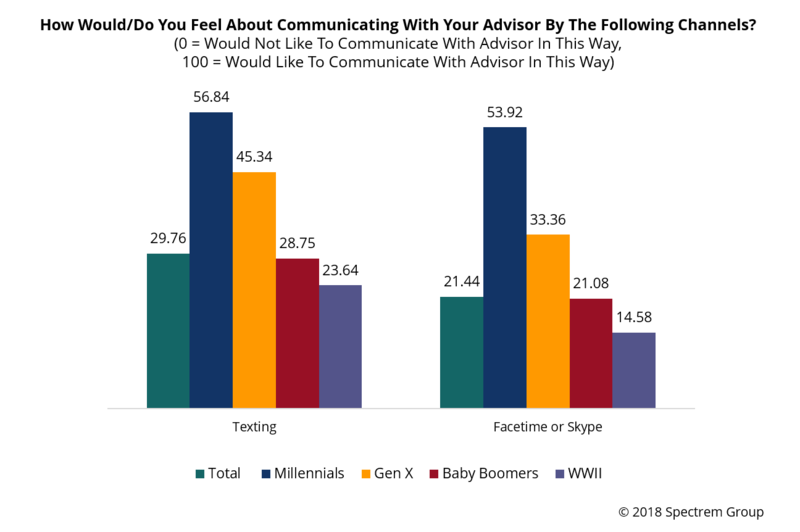 There was a similar response to texting an advisor as a major form of communication, rated at 29.76 among all investors. Among Ultra High Net Worth investors, only 11 percent have ever spoken to their advisor via video-chat, and only 32 percent have texted their advisor. Those percentages again are higher among younger investors, and new advisors who don’t want to pay for a home office are dependent on finding those younger investors who are willing to use technology in this seemingly impersonal way. The appeal of these forms of electronic communication was much higher among younger investors (56.84 for texting and 53.92 for video-chat among Millennial investors). 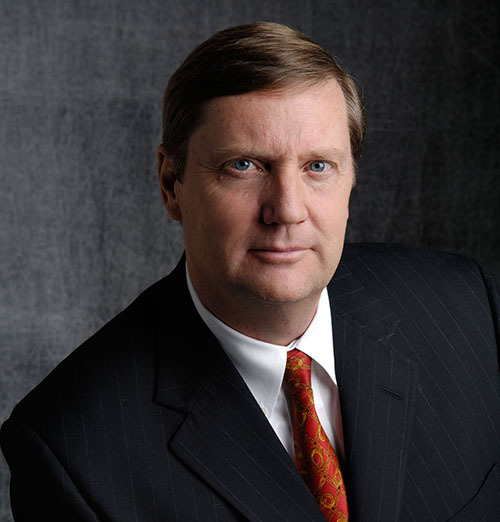 But overall, investors are wary of “meeting’’ with their advisor without being in the same room. There are also regulatory cautions, but not violations, for being an advisor without a home office. The SEC requires advisors to have a business address, but there are no rules saying the official address cannot also be the location where the advisor hosts family barbeques or welcomes Halloween visitors. Advisors who want to operate without a home office need to be able to prove to investors that their interpersonal relationship will not suffer due to the lack of a meeting place. This is perhaps a new state-of-the-art advising style, but it will only work if the clients buy into the approach.